Zap organic pollutants, bacteria, and algae with this powerful shock treatment. This unique, quick-dissolving formula does not require pre-mixing and will not cloud your water or bleach your vinyl liner. 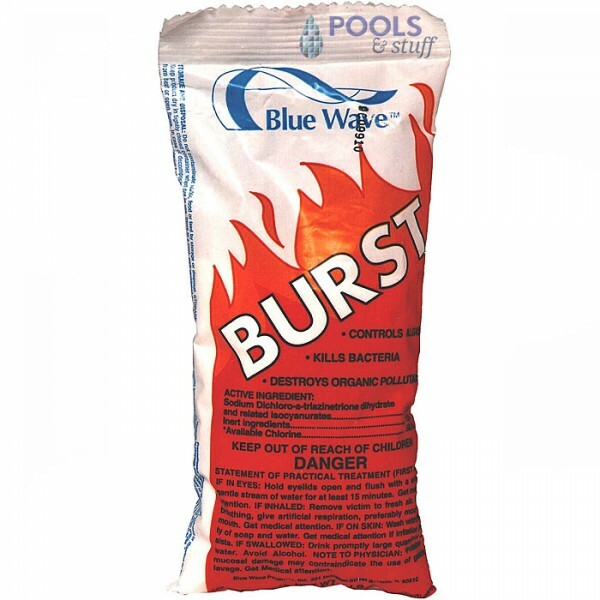 Burst is also pH-neutral, so it will not affect pH levels, cutting down on the expense of balancing chemicals. 1 lb. treats 12,000 gallons.